The ultimate maman et moi moment! 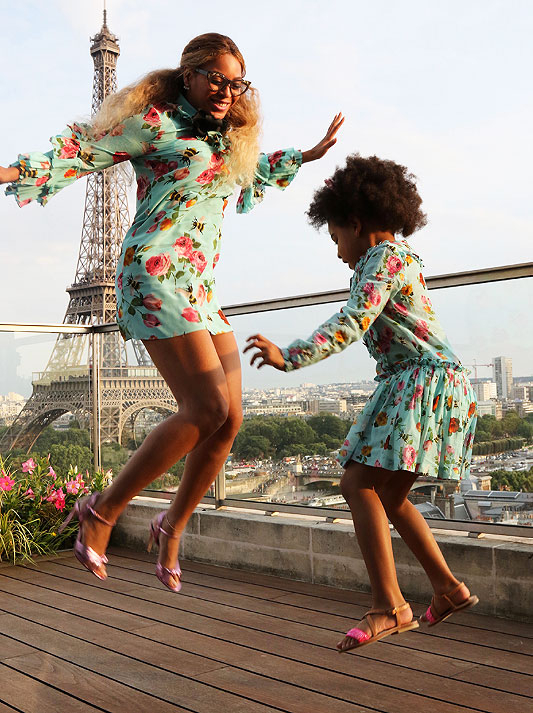 Beyoncé shared a series of snaps with her daughter, Blue Ivy, adorably jumping on a balcony in front of the Eiffel Tower in Paris. Even cuter? 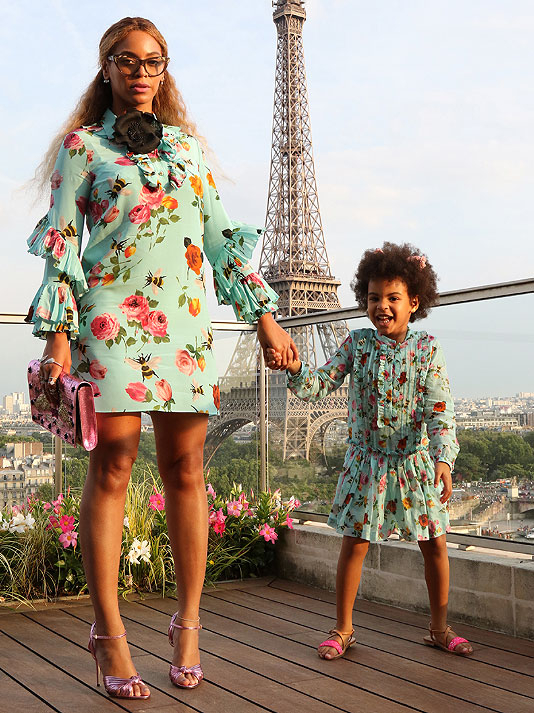 The ladies wore matching floral dresses by Gucci. The "Formation" singer, 34, and her mini-me, 4, complemented each other perfectly in the pics, which were shared via her personal website. Beyoncé chose a long-sleeved sheath with ruffled accents and an oversized black bud at the neckline. She wore cat-eye glasses and pink metallic accessories, including a Preciously Paris clutch and Bonpoint sandals, to complete the look. Meanwhile, her little girl, who enjoyed the limelight earlier this year with a cameo in the "Formation" music video, matched her mother in a children&apos;s version with a cinched waistline. Also taking color cues from her mama, she added hot pink sandals and blush cat ears. 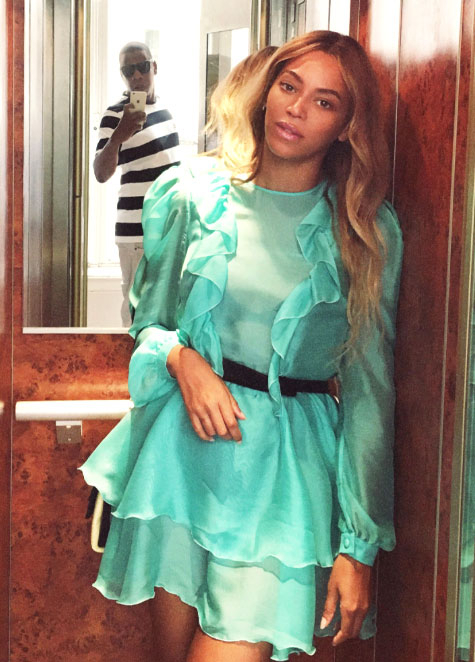 The "Drunk in Love" singer shared an additional solo shot in a ruffled teal dress that featured her husband, Jay Z, reflected in the mirror behind her, snapping away. Living his own most stylish Parisian life, the "99 Problems" rapper modeled wide (and oh-so-French) stripes. Beyoncé and her family are currently jet-setting around the world as she continues her Formation World Tour. The Lemonade diva stopped in France on July 21 before heading to Denmark. Next up, she&apos;ll perform in Sweden, Germany, Belgium and Spain before returning to the U.S. for the second leg of her American tour.